—PWA’s definition of a private eye. The Private Eye Writers of America started in 1981 because Bob Randisi was fed up. He was fed up with New York publishers telling him that novels featuring private investigators as protagonists didn’t sell. It appeared a specious claim: The 1970s saw the debut of such popular and long-running private eyes as Bill Pronzini’s Nameless Detective, Marcia Muller’s Sharon McCone, Stuart Kaminsky’s Toby Peters, Joseph Hansen’s Dave Brandstetter and, oh yeah, a Boston bruiser named Spenser from some guy named Parker. So Bob bought a bunch of post cards and mailed them to numerous fellow writers with whom he corresponded. He asked them what they thought of an organization dedicated to recognizing, encouraging and rewarding private-eye fiction. About 40 of them thought it was a pretty good idea. The result was PWA. And, so it was. From it came the Shamus Awards which has grown to become, along with the Edgars, perhaps the best-known and respected peer-judged award in the crime-fiction field. In 1982, the first Best P.I. Novel award went to Bill Pronzini for Hoodwink; The Eye, an award for lifetime achievement in private-eye fiction was given to Ross MacDonald. In subsequent years, awards were added for Best Short Story, Best First P.I. Novel, and Best Paperback Original. And the Shamus Award banquet has become a Friday-night Bouchercon tradition. Almost from PWA’s start, the P.I. field mushroomed and diversified by, among other things, gender, race, setting, sexuality, nationality, and subgenre. While the PWA logo is Terry Beatty’s “P.I. Guy,” a white male in a trench coat and fedora, holding a cigarette in one hand and a gat in the other, the constantly evolving field of fictional P.I.s and their creators and PWA’s membership reflect the people and situations of the multifaceted world in which we live and work. One sign of the change is The Eye. In the early years, it recognized pioneers like Mickey Spillane, William Campbell Gault, Howard Browne and Maxine O’Callaghan. Now, it’s noteworthy how many honorees began publishing private-eye fiction on the cusp of or after PWA’s formation: Max Allan Collins, Sara Paretsky, Sue Grafton, Loren D. Estleman, and this year’s recipient, S.J. Rozan, among them. PWA has always encouraged newcomers. The Best First P.I. Novel Competition was sponsored by PWA and St. Martin’s Press in 1986 to encourage new P.I. writers. Unpublished writers submitted manuscripts that were read by PWA members. The winner received editing and publication by St. Martins. Many of the 23 winners, including Les Roberts, Steve Hamilton, Karen Kijewski, Janet Dawson, Gar Anthony Haywood, Ken Kuhlken and Michael Koryta, have gone on to long and successful careers. The organization has also provided publication opportunities for its members with about 11 short-story anthologies published since 1984. These included two joint anthologies with Sisters in Crime, Deadly Allies (1992) and Deadly Allies II (1994), which paired stories from members of each organization, a number of whom belonged to both groups. PWA has always been a simple organization, admittedly low tech—the newsletter is still produced only on paper and the PWA website (courtesy of Kevin Burton Smith) is a relatively new endeavor—and a bit raffish (oh, those cutthroat midnight poker games). That’s because it doesn’t need to be complicated. Its goals—camaraderie, encouragement, acknowledgement, and celebration of the fictional private eye and his and her creators—are simple and timeless, fueled by personal interaction which is something technology will never successfully replace. PWA’s open to anyone who writes, wants to write, and/or enjoys P.I. fiction (Remember, writers are fans, too). As PWA celebrates its jade anniversary, I remember traveling to New York City in 1987 for my first Shamus luncheon. Even though I’d not yet published a word of fiction, I was warmly greeted by Bob, met an idol (Loren Estleman), and shared a table with a newcomer named Parnell Hall. I was welcomed without reservation and that has been my experience ever since. PWAers have provided advice, guidance and opportunity and several have become lifelong friends. I’ve never regretted checking in on PWA and I’ll belong until I check out. And I’m sure I’m not the only one who can say that. The private eye is alive and well and has plenty of friends. 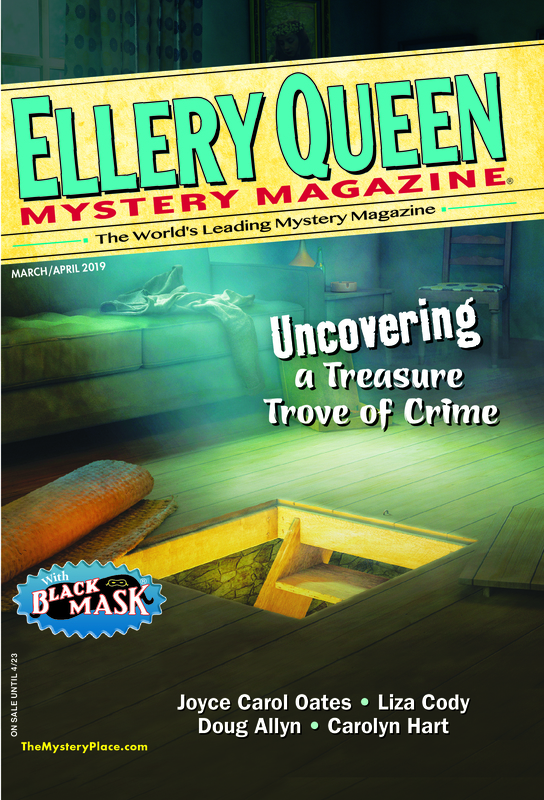 This entry was posted in Awards, Characters, Fiction, Genre, Guest, Private Eye, Publishing, Readers, Writers and tagged crime fiction, fans, fiction, mystery, private eye, private eye writers of america, PWA, readers, writers. Bookmark the permalink. Very nice guest editorial / perspective piece. Thank you.